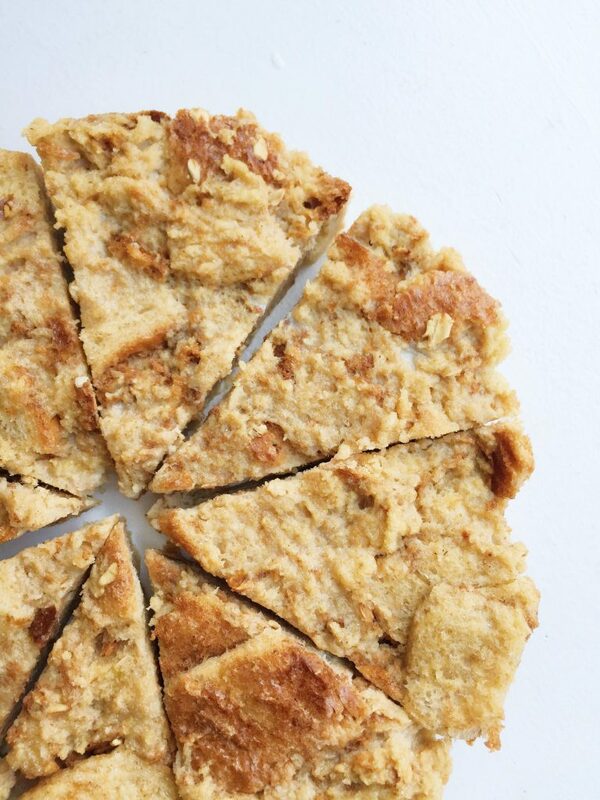 A healthy spin on your traditional brunch dish with this Oatmeal French Toast Bake. When I first discovered Oatmeal Bread at Whole Foods Market, you can only imagine how excited I was. 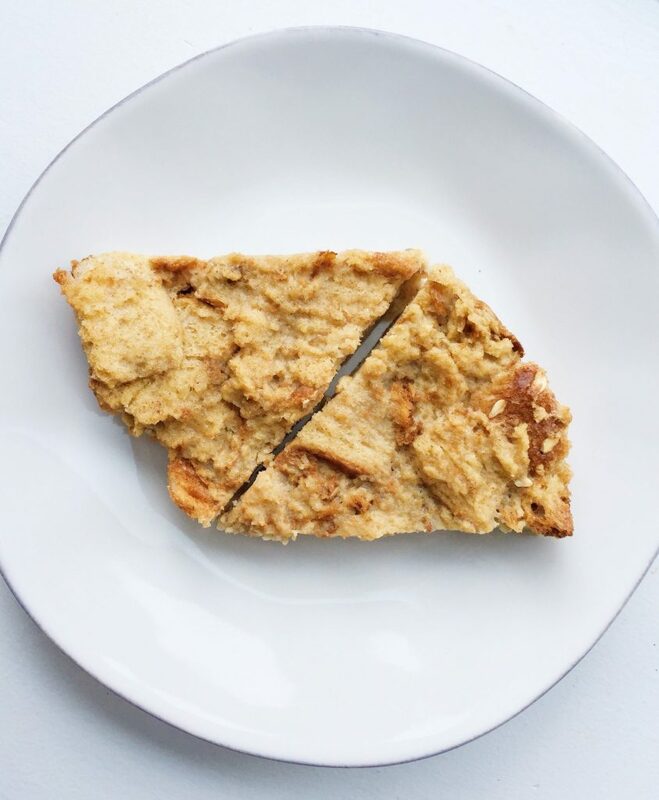 It is doughy like most bread and then the crust has oatmeal sprinkled on top (plus it is organic). The only bad part about buying organic bread, is that it goes bad very quickly. After a couple of days (even if it’s in the fridge) it gets moldy. I do everything I can to not waste food, so I love creating recipes that allow me to use excess foods that spoil quickly, like bread. 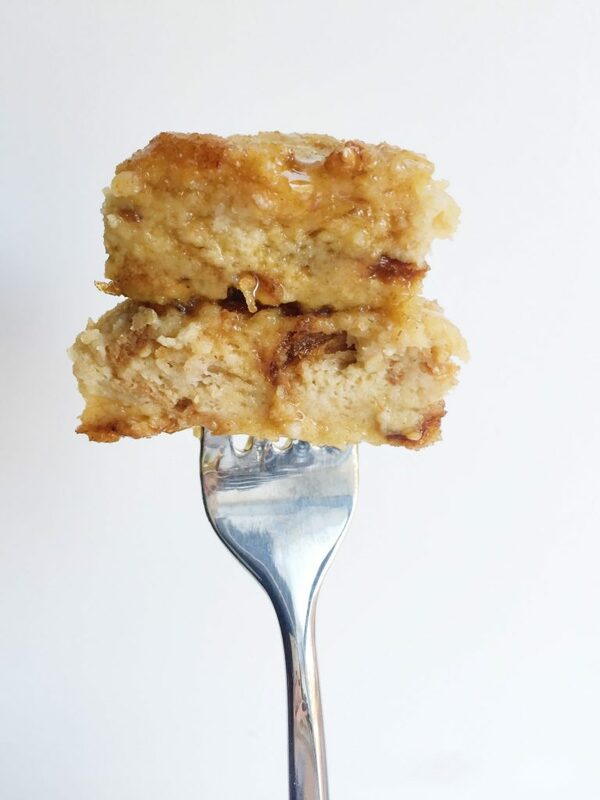 This Oatmeal French Toast Bake (adapted from my French Toast Muffins) is hands down the easiest recipe ever. You only need 5 simple ingredients and it’s ready in 25 minutes. You will wow anyone if you make this for them because it sounds much fancier than it actually is. 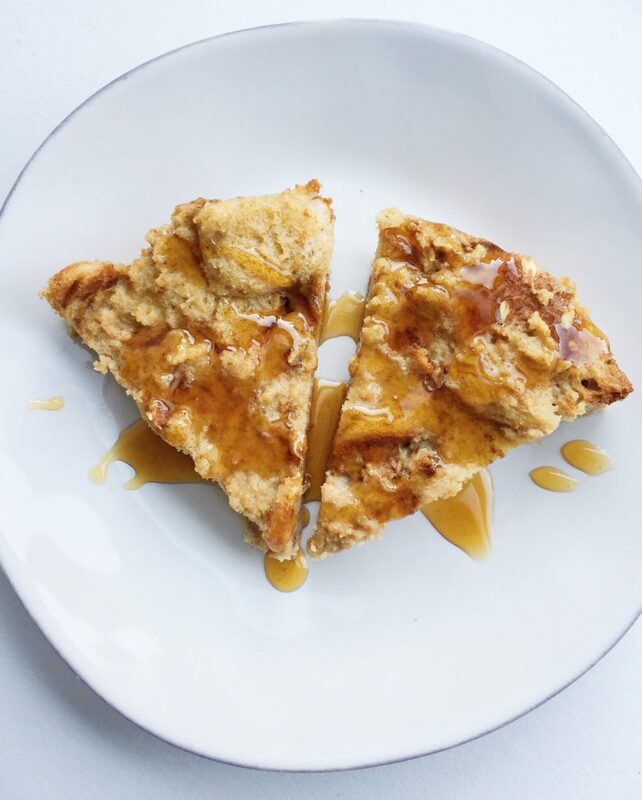 The most basic ingredients and flavors in this Oatmeal French Toast Bake are so point, plus the drizzle of maple syrup on top and holy hats you have yourself quite the breakfast dish. ..and that is IT! Does it get much easier? Some of my other brunch/breakfast dishes are: French Toast Muffins, Oatmeal Pancakes, Chocolate Peanut Butter Baked Oatmeal & Chocolate Hazelnut Muffins. NEED to find that oatmeal bread!!! i have to get me some oatmeal bread at whole foods! This looks so yummy and i love how simple it is!